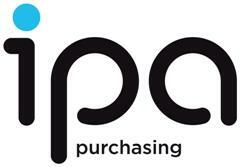 IPA Purchasing - the appointed purchasing consortia to the National Care Association. Option of Central Billing Scheme to pay all of your monthly invoices from different suppliers in one payment. • Points Reward Scheme to earn money while purchasing. Points can be redeemed at the end of the year either by a credit note against your account or a cheque. With IPA you can Save up to %50 on your invoices with leading catering, clinical & medical, furniture, equipment, uniform, utility and many other suppliers.